When MGM were cash-strapped in the mid-2000s, they made a deal whereby Sony would finance the budget of the James Bond movies in return for distributing them worldwide and a small share in the profits. 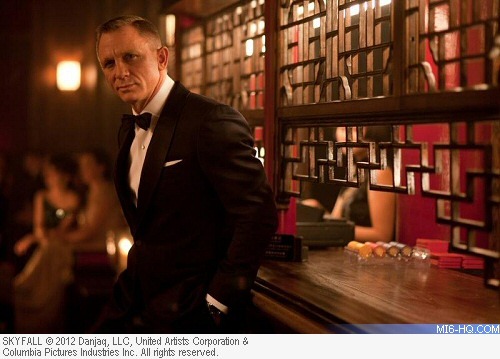 The first deal was for 'Casino Royale' and 'Quantum of Solace' and was re-upped for 'Skyfall' and 'SPECTRE'. Many commentators have speculated why a seemingly 'no brainer' deal for Sony to again renew their deal with MGM for a fifth Daniel Craig 007 outing had stalled for over a year. Michael G. Wilson, co-producer of the franchise, expected a deal to be made in early 2016. Everyone is still waiting. News emerged today via a New York Post article that an un-named organization in China was in 'advanced talks' to buy MGM. The studio is currently owned by a long list of hedge funds and investors who took ownership equity as it emerged from bankruptcy in 2010. A few hours later, a report from the Wall Street Journal confirmed that Chinese buyers had indeed been in talks to take over MGM, but the deals had broken down late last year. Global events seem to have scuppered such a deal, in particular, Donald Tr*mp winning the US Presidential Election with a campaign that included reducing foreign inversions of US companies, and a government clampdown in Beijing on investment money leaving China. Under new policies on both sides, Chinese executives are finding it harder to travel and work in the US, further complicating the potential for day to day Chinese control of a US-based company. "We’ve heard from both [private-equity] firms and investment banks that China investment activity around [Hollywood] assets started to wane just prior to the election and is almost nonexistent now," said Chris Fenton to the WSJ, a trustee of the U.S.-Asia Institute, which organizes congressional delegations to China, and president of DMG Entertainment, a media company headquartered in Beverly Hills and Beijing. "No China entity wants to be the first to test" the heated rhetoric on the US side and the capital controls on the Chinese side, he added. A Chinese owner has the potential to make a return on investment very quickly by distributing a franchise such as James Bond. Any foreign film approved for release in China only banks the studio 25% of the box-office, with the remaining 75% going to the government. 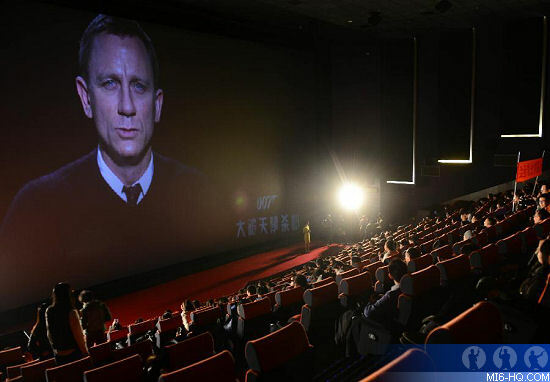 'SPECTRE' broke records and took $83.5m in China, which is more than triple what Sony made distributing the film to the rest of the world under the terms of their deal with MGM. With a Chinese take-over seemingly off the table, it may be back to square one for MGM to find a partner willing to fund a $200m movie for a potential profit of $25m-$50m in return. With Bond-fan Amy Pascal out of Sony after the hacking debacle, the new studio leadership may not be as keen to ink the same deal again, preferring instead to bankroll their own projects that have a better risk-reward ratio. Maybe like Le Chiffre, they also "believe in a reasonable rate of return."